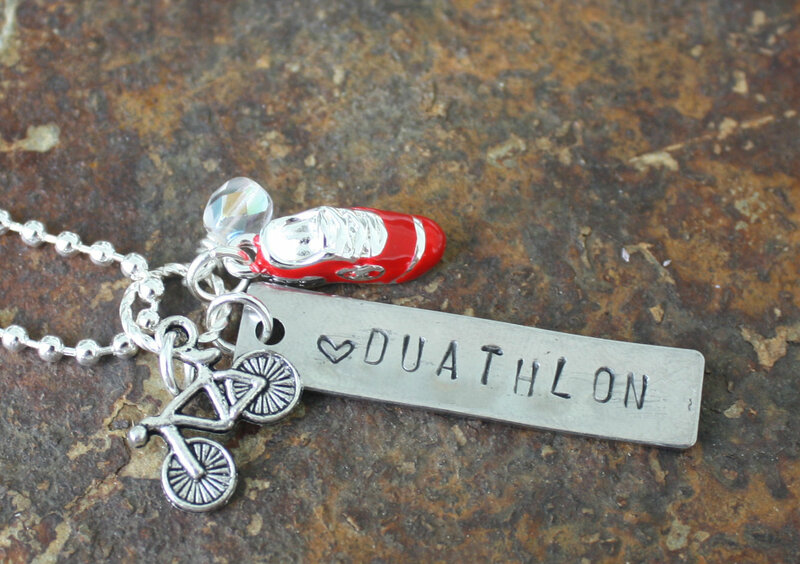 It may not be as popular as triathlons, but duathlons are just as challenging and deserve to be rewarded. 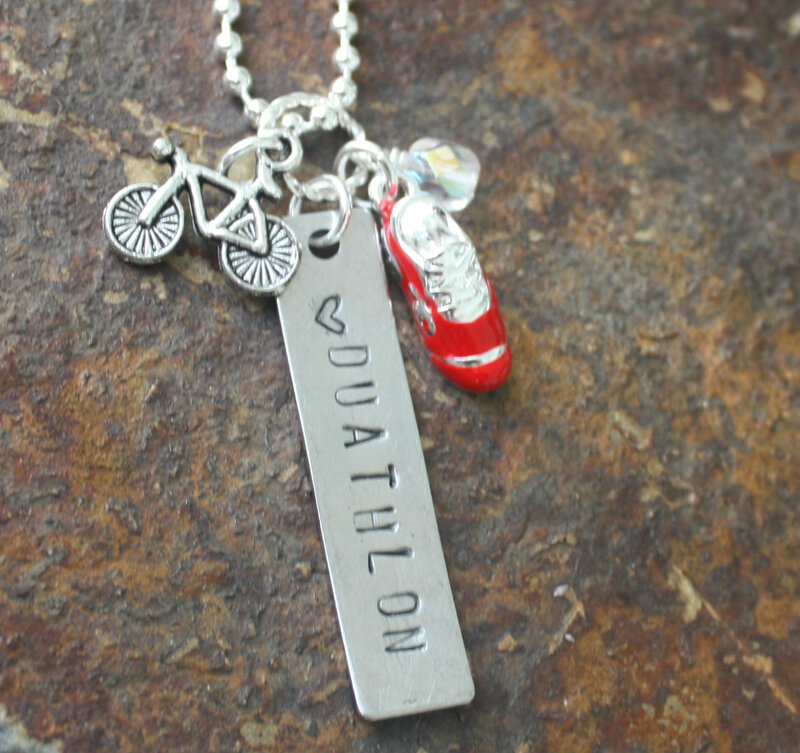 This love duathlon necklace includes a custom stamped charm that says “heart” duathlons, a running shoe and bicycle. You can choose a Swarovski crystal in your favorite color. 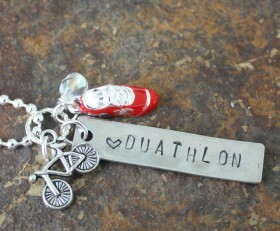 Categories: Biking, New, Running Jewelry, Running Necklaces, Sports, Triathlon Jewelry.